IMS Open Standards Make Your Products Better - And Your Customers Happier! Teachers, students & institutions are more likely to use technologies that are seamlessly integrated into their workflow and lives! Begin to transition to integrated digital resources today & evolve to sophisticated data analytics. Don't waste time and money on myriad custom integrations - invest instead in teaching and learning innovation. Vetting educational applications, to ensure that a minimum standard of privacy and security is met, provides assurance that the information gathered by these educational applications is being used responsibly. 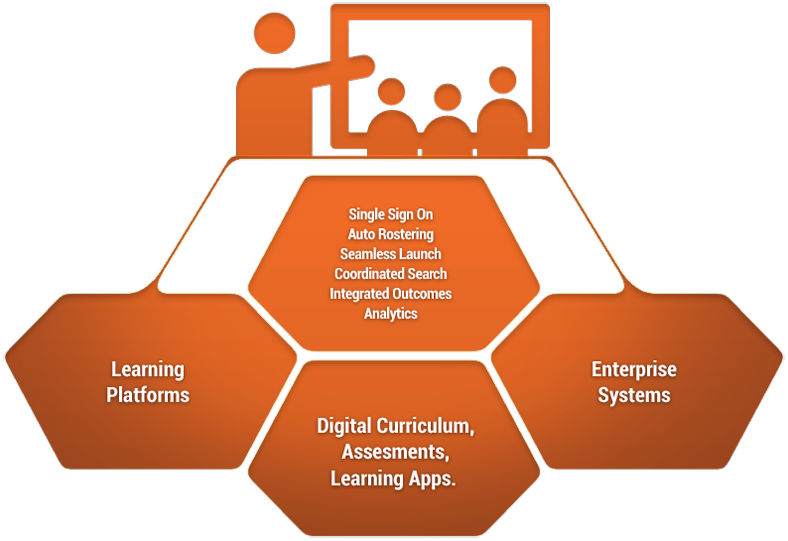 Organization, publishing, distribution, delivery, and search of a wide variety of collections of digital learning content, applications used as the basis for or in support of online learning of any type. Exchange and management of information about learning standards and/or competencies in a consistent and referenceable way including machine-readable statements of what the learner will know and be able to do, explanations of relationships between standard sets and/or among individual standards or courses where applicable, and guides listing specific criteria for grading or scoring academic papers, projects, or tests. 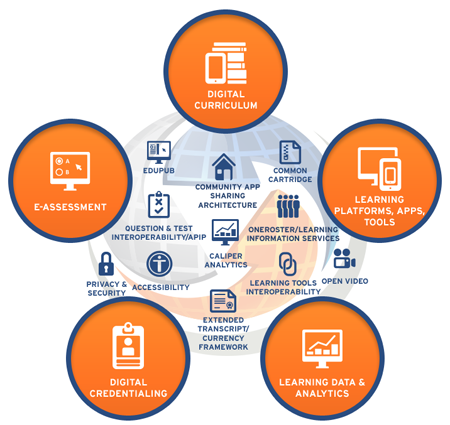 A comprehensive digital learner record that supports competency-based education, co-curricular and extra-curricular skills and achievements, employer-based learning, and other learning experiences in a verifiable, portable, and interoperable format. Capturing learner achievements that are verifiable, portable, and interoperable through Open Badges and in the future, learning pathways and Blockchain extensions. Exchange of item, test and results data between authoring tools, item banks, test construction tools, learning systems and assessment delivery systems, including accessible assessments. Integrating rich learning applications (often remotely hosted and provided through third-party services) with platforms like learning management systems, portals, learning object repositories, or other educational environments. Exchange and synchronization of roster information and grades which focuses on people, memberships, courses and outcomes. Why Does It Make Sense to Join the IMS Innovation Revolution? Together We Get Farther Faster! IMS Global is a non-profit member collaborative inventing the future of educational and learning technology. IMS enables a plug & play architecture and ecosystem that provides a foundation on which innovative products are rapidly deployed and work together. IMS suppliers are the market leaders in innovation. IMS institutions are getting to the future of digital learning faster. 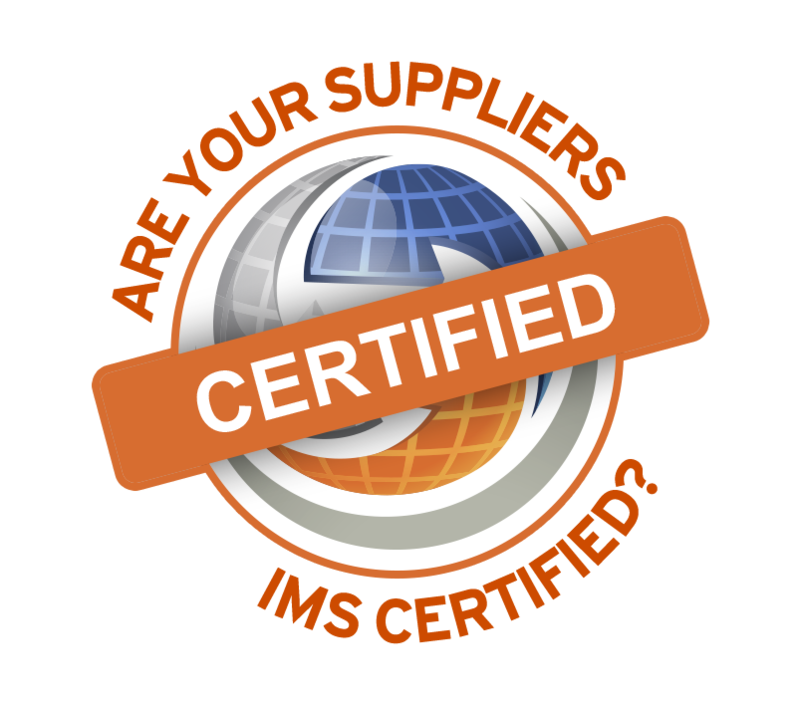 IMS certification is a bond of trust and commitment to creating innovative products that work together for the benefit of instructors, students and institutions.